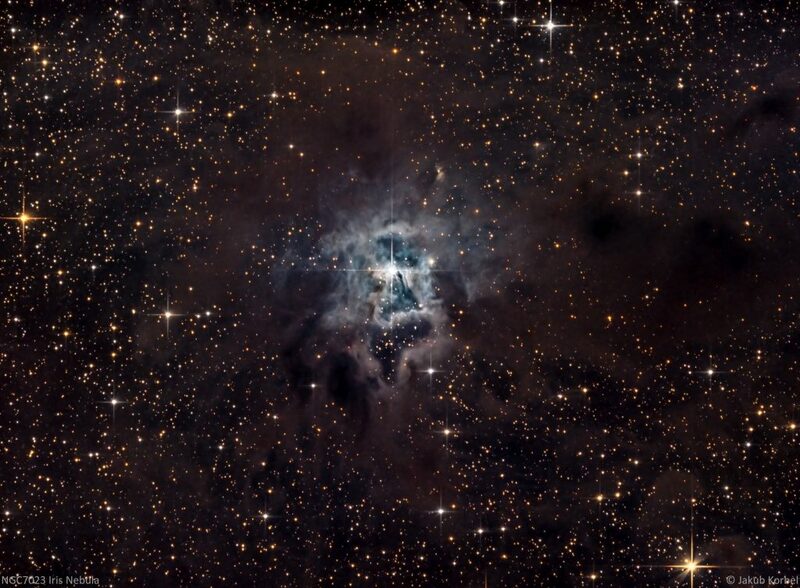 Is a reflection nebula located in constellation Cassiopeia, approximately 600 light years from Solar System. This nebula is very dim, therefore I used narrow band filters Ha, OIII and SII and composed two pictures. One is composed in real colors, second in fake (Hubble) color palette. Iris nebula is one of the most difficult deep space object to capture. Not the nebula itself, but the dark clouds around it. 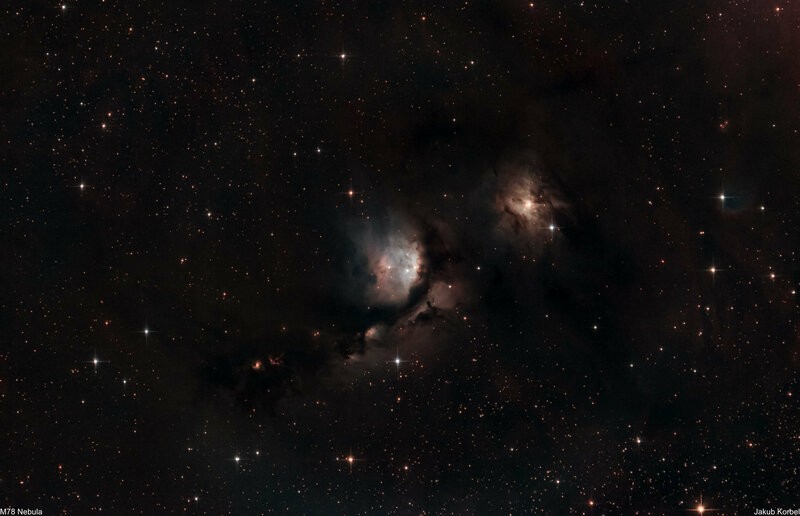 In order to capture these clouds you have to be under very good skies – with minimal light pollution. The reason is simple – the clouds are dark, but the background as well, therefore if you want to visualize the contrast between something which is dark and something which is even darker, good skies are essential. Since I live in sub-urban area, I had to wait till 1 o’clock at night. At this time nearly all street lamps are switched off and the light pollution drops to acceptable level. 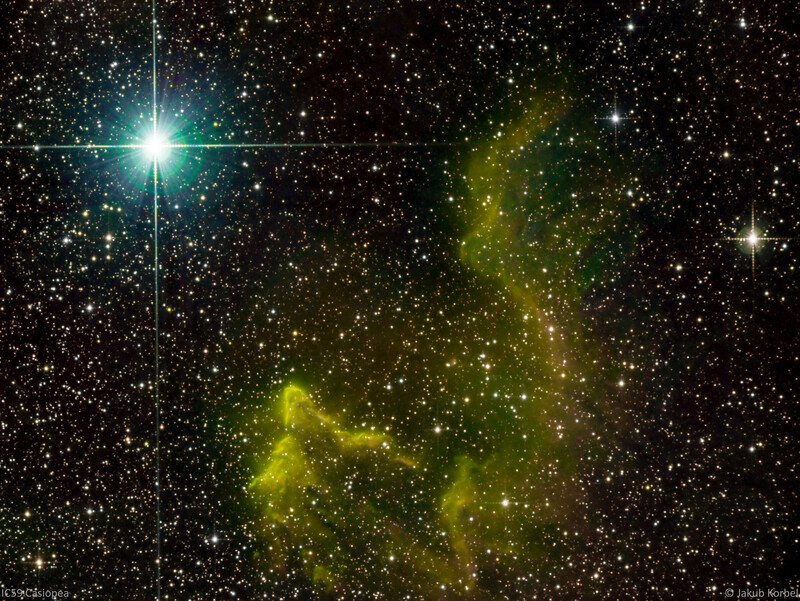 Anyway back to the nebula – it’s reflective nebula (similar to Pleiades) located in constellation Cepheus. 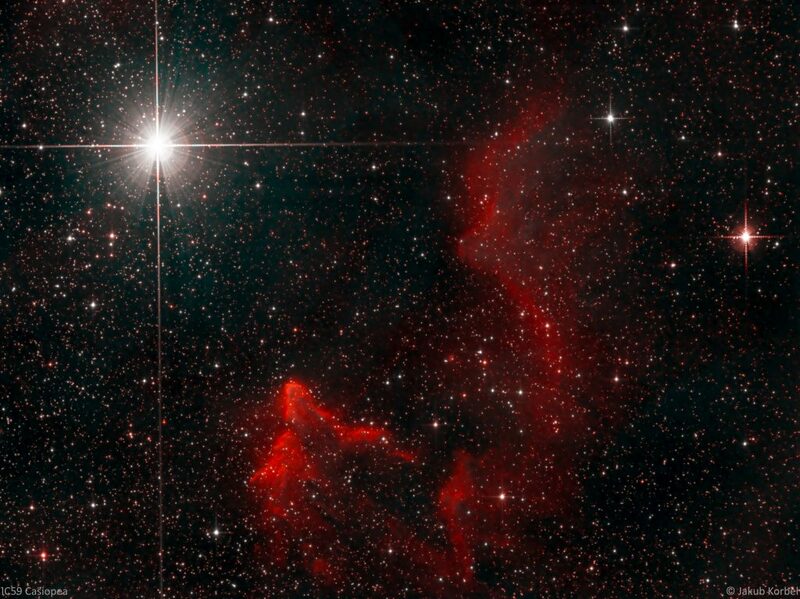 It’s 1300 light years far from the Solar system and it has 6 light years in diameter.